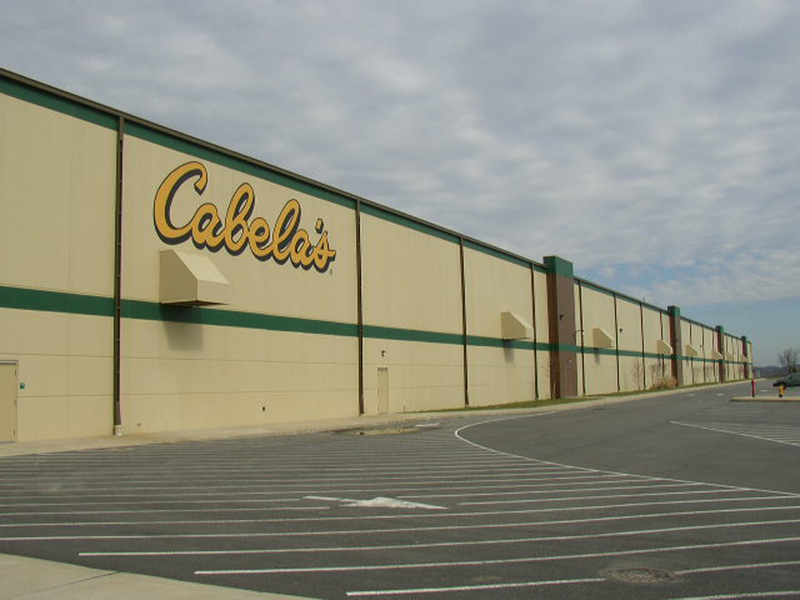 One of our many projects at The Highlands development off of Interstate 70 in Triadelphia, West Virginia, was the $40 million Cabela’s Eastern Distribution Center. 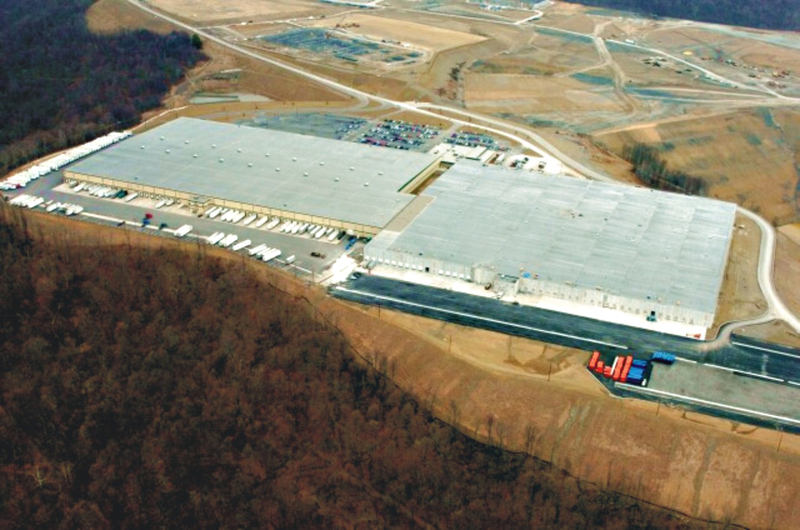 The building measures 1,200,000 square feet (600,000 SF for each of Phase I and Phase II), making it one of the largest buildings in West Virginia! 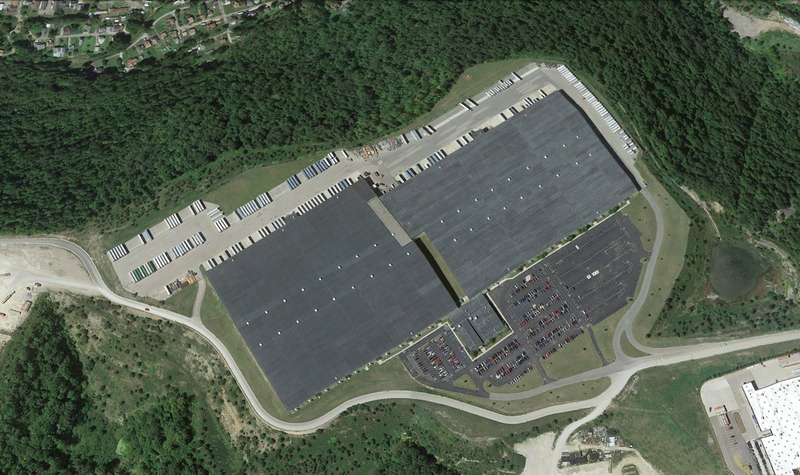 This is a commercial warehouse that was built in 2 fast-tracked phases. The warehouse features 30-FT high-bay ceilings to accommodate large automated storage/retrieval mezzanines and hightech racking; the building’s floor was designed to withstand continuous fork lift traffic. 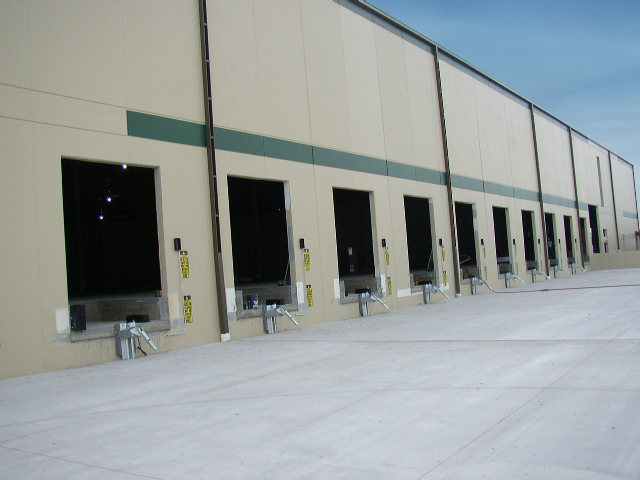 In order to facilitate construction during winter climate, a precast concrete wall panel system was designed for the building shell, and erected onto steel framing. The project was developed on a deep-fill, greenfield site with massive retaining walls, and new utilities. McKinley Architecture and Engineering worked closely with the site engineers to coordinate exterior vehicle circulation and fire protection systems. This included particular attention to building and dock access for the 90 dock positions. The project also included a large parking and shipping area around the facility; 300 trailer parking spaces and 750 employee parking spaces. Security lighting was designed for these areas, with careful attention paid to illumination levels to permit camera operation in the parking lot areas. 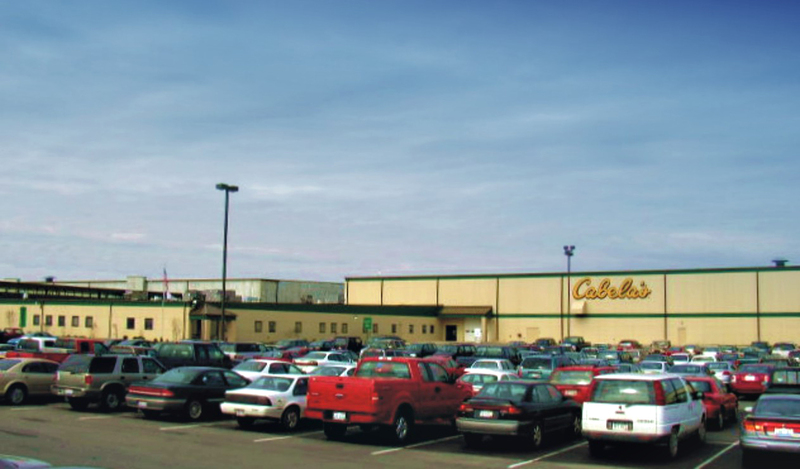 This 1.2 million square foot facility was a key link in Cabela’s retail expansion plans, serving as their primary distribution center for the East Coast. In addition to keeping their retail stores fully stocked, it also benefits their direct business by reducing delivery times and lowering transportation costs to their catalog and Internet customers in the eastern United States.